After teaching another serger class today, I realize it's time to post a hat tutorial. And the timing couldn't be better since we are headed out to visit my sister in law this weekend who is expecting a baby girl in October. 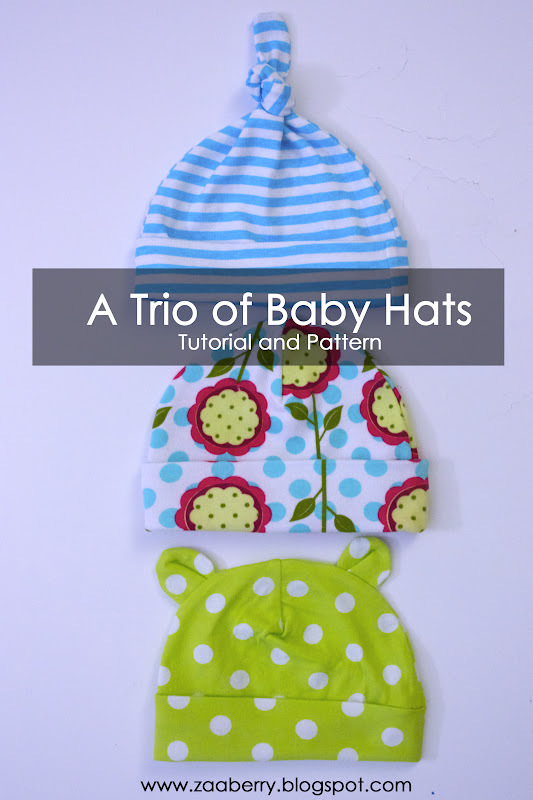 What could be better than a trio of baby hats! Make sure to select "no scaling" when printing and check the 1 inch square guide. Any knit fabric will work, but 100% cotton is the best. A old, clean t-shirt works great. 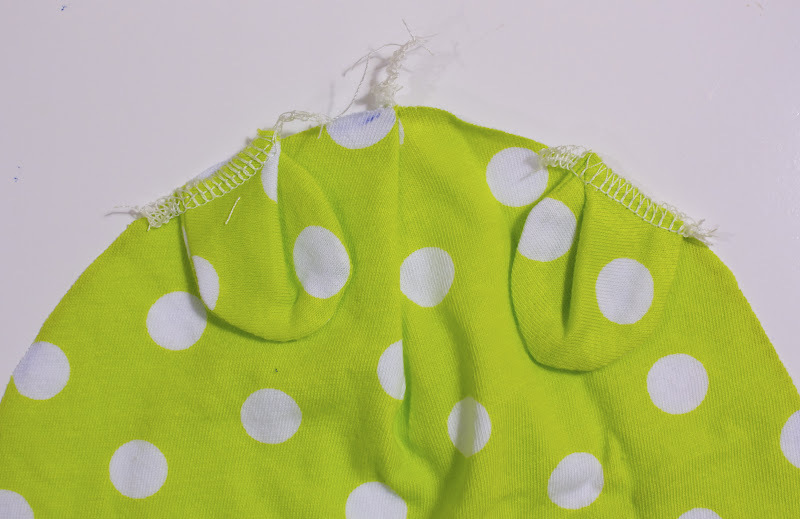 Seam allowance is about 1/4 inch. Personally, I just use the knife on my serger as my guide. The pattern includes 2 different top panels; one for a rounded hat and one for a knot hat. 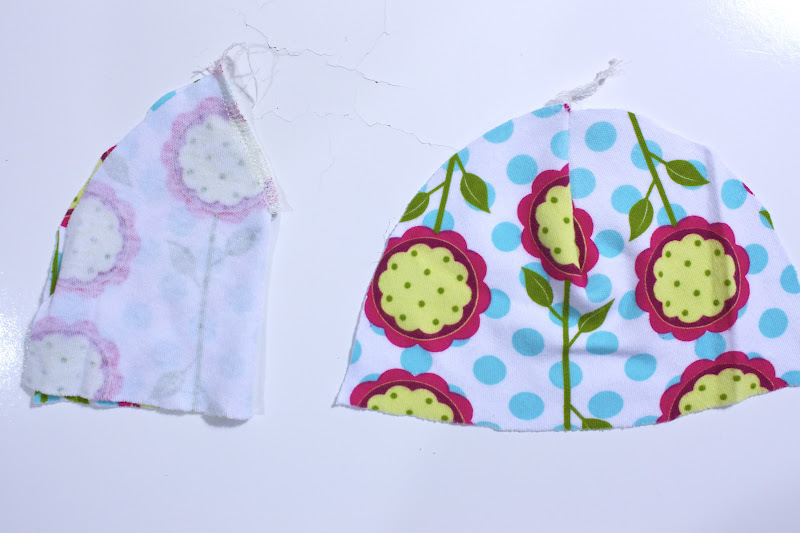 If you cut some little half circles you can easily make the rounded hat into a eared hat. These hats are pretty straight-forward and the construction is generally the same. 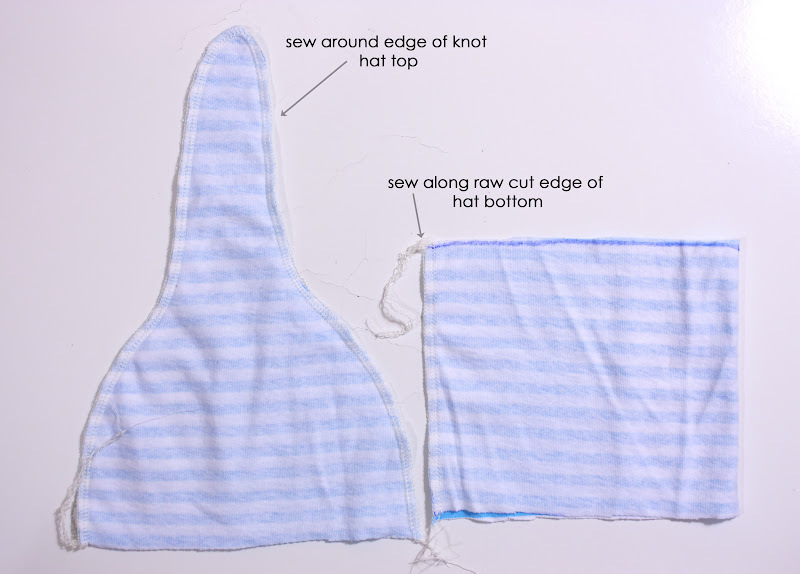 Sew around the outer edge of the knot hat and the cut edge of the hat bottom. With wrong sides together, match raw edges of hat bottom and press. Turn hat upper so the right side is out and press. Match the raw edges and sew around. 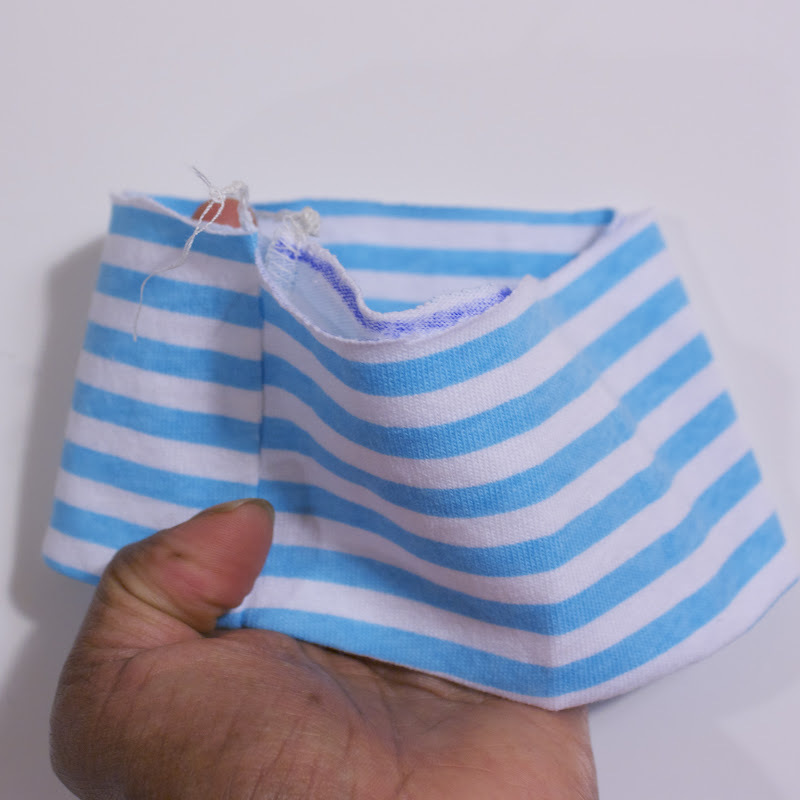 You could leave the bottom unfolded, or fold it up. Tie a little knot on top and it's done. 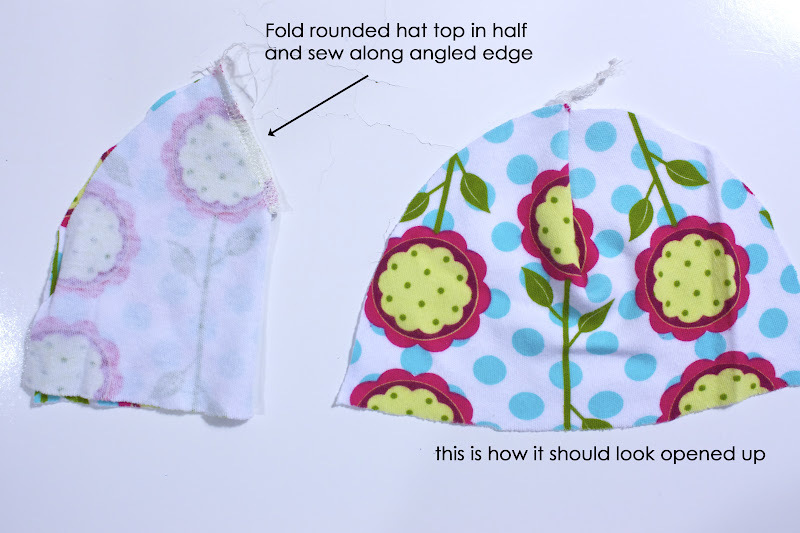 For the rounded hat, fold it in half and sew along angled edge. Do this for both pieces, then sew around the outer edge, with wrong sides together. 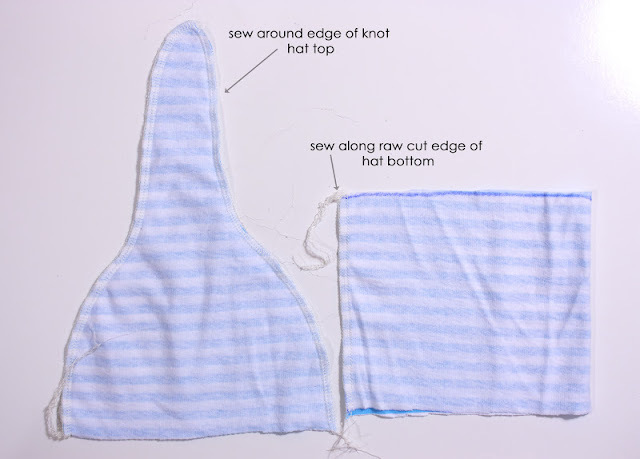 Turn to the right side and finish the same way as described for the knot hat. For the eared hat, I sewed 2 little half circles, made a little crease and sewed them evenly spaced in between the 2 rounded hat layers. There you have it. One simple pattern, 3 cute hats. Those are darling - and what a nice baby gift! thanks! those are so cute, thanks for posting - i can't wait to try!! Beautiful!! Great gift for a newborn or for a baby shower!! :) Thanks for sharing! I love this! My son was born in May and hasn't had much need for baby hats and you can't find them in larger sizes. I've made them before, but just kind of eyeballed it and I'm glad to have a tutorial! Thanks! 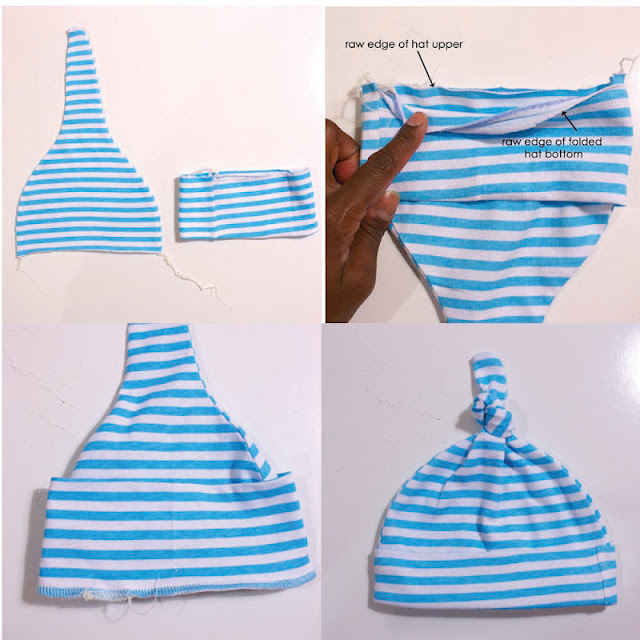 great tutorial and so, so cute! Oh my goodness - these are adorable!! Love the three different versions! I hope you will consider adding a photo of these into SewSet! SewSet is a new on-line sewing pattern & tutorial search engine, where users can upload, search, save, find & sew their favorite patterns, tutorials and designers. I would love to have these included in the directory! So cute! So adorable! is that a jersey knit? where did you find the fabric? The polka dots and stripes are jersey that I ordered online from Hancocks Fabrics and the middle print is Mod Blooms in Aqua knit by Patty Young. I've had these for a while, so I'm not sure that they are still available. Thanks for your comment! love those hats! thanks for sharing pattern and tute. Very nice! Looks like a great babygift! Thanks - I have already made one and will be making a few more! excellent tutorial...very professional!! Thank you!! These are absolutely adorable! I'll be making some soon! I came across your tutorial on Pinterest and think the hats are really cute! Love these! 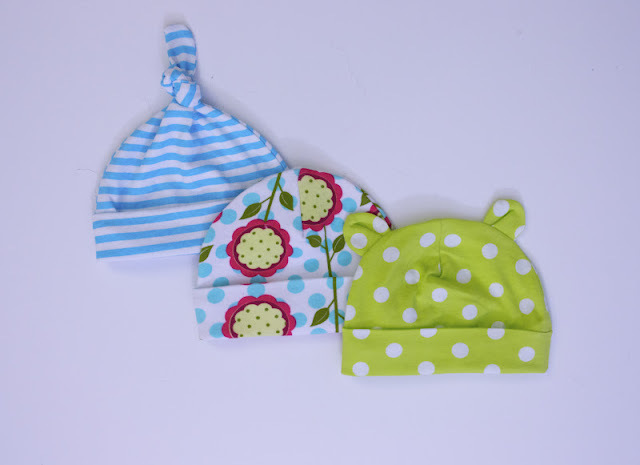 My babies had some soft hats like these that also tied underneath - really handy at times. I wonder if you could sew little half circles along where the hat bottom attaches to the hat top with little ties hanging down from the half circles. These are so cute. My daughter-in-law is due any day so I better get busy! Thanks for sharing. Great tutorial...I made 4 in no time at all. Thank you. Thanks for this great tutorial ! Love these hats and have made some for all these little ones near by. super cute! and simple taboot! can't wait to explore the rest of your blog! come and visit us over at www.thesitsgirls.com! 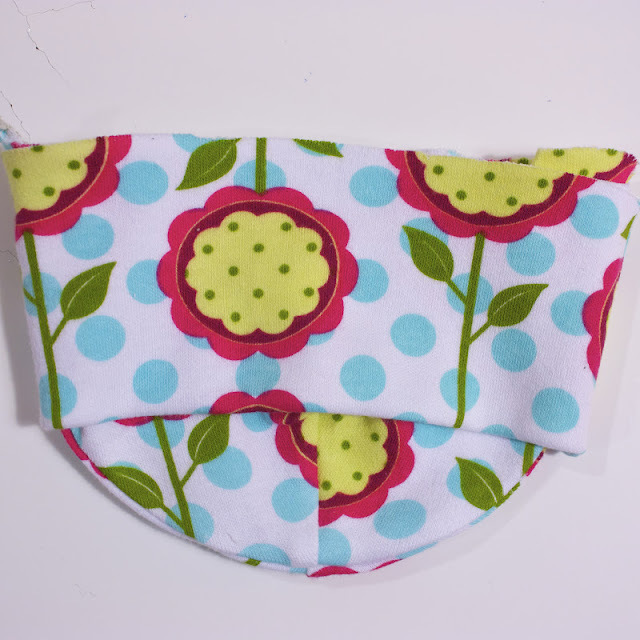 I just finished one of these as a baby present, perfect pattern and tutorial! I actually lined it, so the seams would not be rough in the inside. Turned out really pretty. Thank you so much! These are great! Thanks so much for posting this. Also your kimono pjs are amazing! Thanks for the great pattern! I made a few for my son and he looks so cute in them. I blogged about it on fromscratchmom.blogspot.ca Thanks again! wondering what size you used on the ear pieces? I used a t-shirt with the logo of the team my son coaches to make this for his baby. Adorable! Thanks for sharing. Of course I find this when my serger is broken! thanks so much for posting this! I don't sew, but my mom does, and I sent it to her. I have a newborn and we need fleece winter hats...all the store bought ones are too big! (She has a tiny head!) So grandma is going to make us some. this is PERFECT. 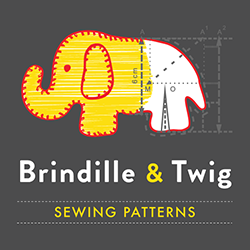 Thank you so much for the free patterns and the tutorials. 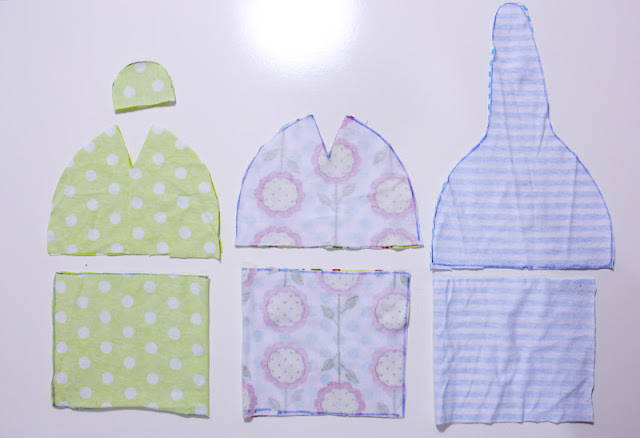 what if I don't have a serger, can I do these for grandbaby on my machine? I just made a hat, but it appears to be too small to fit on a newborn's head. Anyone else have this concern? have to make even more - my grandson wears one every day! Thank you!!! With two antennas instead of ears, it will be perfect for bee costume! Thank you very much! With two antennas will be perfect with the bee costume!! Thank you very much! These are nice! Do i understand it correctly that the seam allowance is already included in the pattern? have made two now... the knotted and the ones with the bear ears... so incredibly simple, thank you! 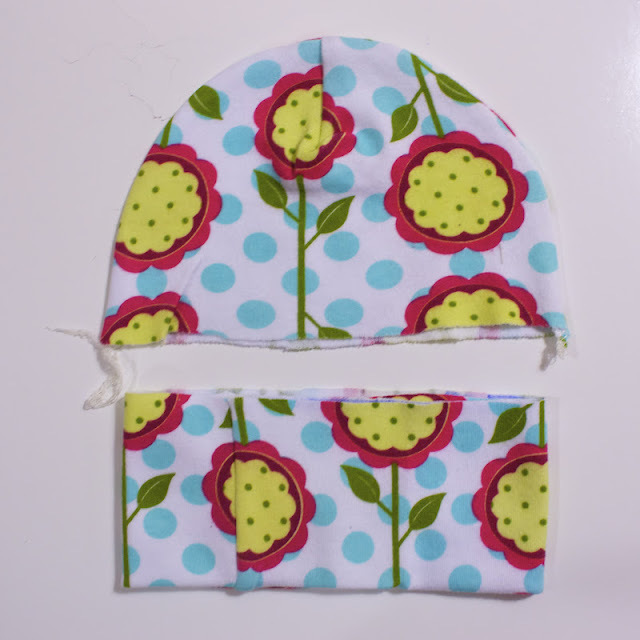 These caps are very cute and easy to sew. I like all of these. Love these! How much fabric do you need to make them? Not much. Maybe 1/4 yard for each? Anyone have any idea how much smaller to make these for preemies? Perfect! 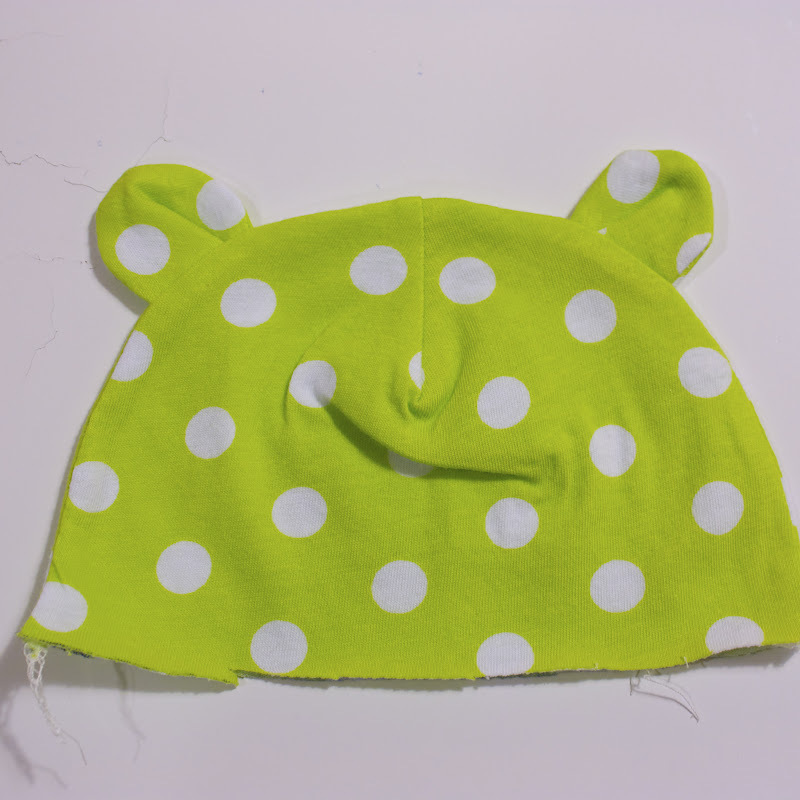 Made them from unused knit pillow case and it was very fast and easy! Thank you VERY much!!! I must have done something wrong. As soon as I sewed on the bottom piece it lost its stretch. I'm a total newbie. This work by www.zaaberry is licensed under a Creative Commons Attribution-NonCommercial-ShareAlike 3.0 Unported License.